You've decided this is the year. You're finally going to apply to that first families program, the DAR, or whatever your lineage society of choice is. 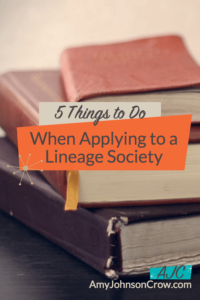 Before you fill out the form and send in your check, here are 5 things you should do when you're applying to a lineage society. Different societies have different rules about what they will accept as proof. Some require certified copies; others will accept regular photocopies. Some will accept sources like a book of tombstone readings; others won't. The society's rules for documentation should spell it out. Even if you've applied to that society before, don't assume that the rules are the same now as they were then. They could have tightened up the requirements. They also could be like the DAR and started accepting DNA as proof. This is also a good time to see how the society wants you to label your documentation. Some will want a citation written on the front; some will want you to number the document and put the citation on a separate numbered list. What I've found helpful in applications that I've done is to take the application form, fill it out, and make a red checkmark next to every event that I have documentation for. It's an easy way to see exactly what I still need to compile. When I'm ready to apply, I fill out a new copy to send in. Never EVER send in an original record or photograph. Always send a copy. First, you probably won't be getting your application back. (Preserving your research is one of the reasons for applying in the first place.) Second, if your application would get lost, that documentation would be gone. Lots of copies keep stuff safe. Send a copy. While we're on the subject, put those copies in a file folder just for your application. This will save you a TON of time later when you're ready to send it in. Not to say that they won't enforce the rules -- the rules are there for a reason. They will help you interpret them. But you need to ask. If the society you're applying to has a deadline, don't wait until the week before to start working on it. Believe me, it will take you longer to compile than you expect, especially if it's your first time applying. Give yourself time to compile and to ask questions. You'll also want to leave yourself time to get any further documentation that the society asks for. When I was chair of First Families of Ohio, we had a December 31 deadline for induction at the OGS annual conference in April. It never failed that the majority of the applications came in during the last two weeks of the year. The applications were reviewed in the order received. I felt bad for the ones that arrived on December 31, as they usually weren't reviewed until late January. It often happened that at least one of those applicants didn't have time to get more proof that was needed. Start early. 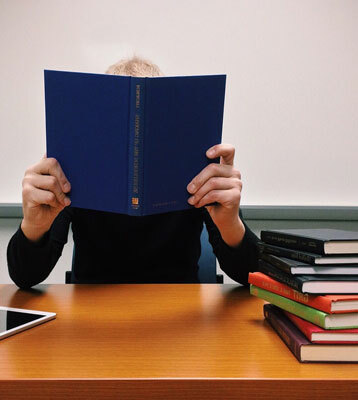 Need tips for evaluating your research? Subscribe to my FREE newsletter and get my guide "How to Evaluate What You Already Have"
If you’ve applied to a lineage society, what advice do you have? 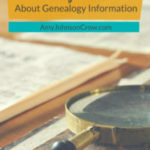 This entry was posted in tips and tricks and tagged applications, documentation, lineage societies by Amy Johnson Crow. Bookmark the permalink. 1. Have a red pencil handy (to use on the copy you send in if you need to point something out on said document copy). 2. Use your printer to add your identifying information to the back of each copy you send in. For example, when I applied to the DAR, I put my name, patriot’s name, and chapter number and city. I printed out about 20 of those and used them to copy my documents on. Helps keep your copies by generation in order. I was totally looking for something like that tabbed folder!!! Thank you. Have a mentor who belongs to the society and can guide you through the process. I had one through the SAR process and got accepted. My advice is STAY ON TOP OF THE REGISTRAR. Sometimes they are suffering their own private burn-out and you don’t know that your application is just sitting on a desk somewhere. Thanks for the tips, Amy. I often think about applying but never quite get around to it. When I do, I’ll have your expertise in this blog post to help me. 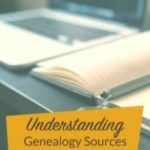 Take the time to learn the concepts behind the Genealogical Proof Standard. Watch Crista Cowan’s video series: https://www.youtube.com/playlist?list=PL0xuz8BBkD4jfsZ9sdWL1qjd9eclwhzL6 This helps with understanding what constitutes proof. And yes, the DAR has made their policies much more strict than even a couple years ago. Both the DAR and the Mayflower Society require vital records for the first three generations. It’s harder than most people think to come up with birth, marriage, divorce and death records. I once did a workshop on just Gens 1-3. Also, the DAR requires two pieces of documentation for a new Patriot: one that proves residency and one that proves service. There’s the Genealogical Proof Standard and then there’s what a society will accept. Not every society will accept a case built upon the GPS. True. Many applicants think trees on Ancestry constitute proof. Those videos help people learn how to think through the process of evaluating proof, even if the GPS standard isn’t acceptable. Definitely! 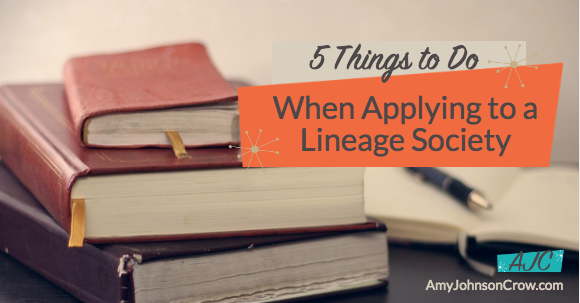 Everyone – whether you’re applying to a lineage society or not – can benefit from knowing how to evaluate their sources. Great article Amy! 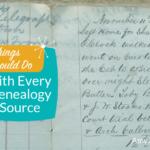 As the genealogist for The Society of Indiana Pioneers, your article immediately caught my attention on your Twitter feed. As I started to comment originally, I had so many thoughts that came to mind, I decided that I should just get busy writing and put it all together in an article for my own website! 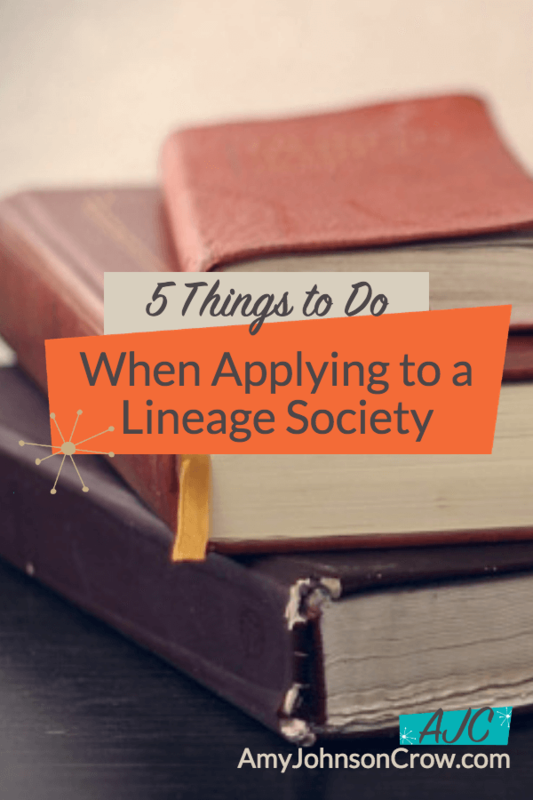 I have a few things that I think might be helpful when anyone is thinking about going ahead with a lineage society application. My article can be found at http://itsalifestory.com/?p=1937. Thanks for the tips, Amy. It’s surprising how little bits of information can slip away if it isn’t all organized. I love the numbered dividers too; they really help keep the paperwork organized in ONE place. Wonderful! Going to look into what they have in TN, as my family was there early. Thanks for the posts, very helpful. I am already DAR, however would love being associated with this specific area in Middle TN. Other than DAR and pioneers of states, I had not realized such things exist. My family is almost too new to count for most, but I will keep my eyes out, just in case. We have Germans from Russia groups to fall back on anyway. Like the idea of using them to pass things on to others! Thanks for the excellent article. I have been wanting to apply to DAR because I have four ancestors that I can document that are already recognized patriots. It will be easier getting everything together! I also have some early ancestors from Ohio I am researching. That does make it easier when they’ve already been recognized! Good luck with your applications! Great advice Amy! I have “piggy backed” on a cousin’s DAR membership to gain my own membership. AND I will have my 2x grandmother AND grandfather inducted into the First Families of Ohio at this (2016) year’s OGS meeting!! The DAR is being extremely difficult. I have a pending application and have now provided additional documentation twice. I truly believe that their genealogist did not read one court document, which specifically stated “father of” which absolutely proved the parentage of the generation in question. I understand that they have a time limit in which to review applications. That makes me wonder if it is even bothering with, it seems to be such a “prestige” thing with lots of folks, rather than something to simply be proud of. Depends on the group and the person. I think the process is still worthwhile. Awesome! Good luck with your application! My local DAR chapter is 200 miles from everywhere. They have been monumentally uninterested in having me as a member in THEIR society. Is there some online DAR branch that can help me prove my connection to an already proved DAR line?